Our innovative pulse-valve manifold design eliminates problematic hoses and potential airflow leaks. 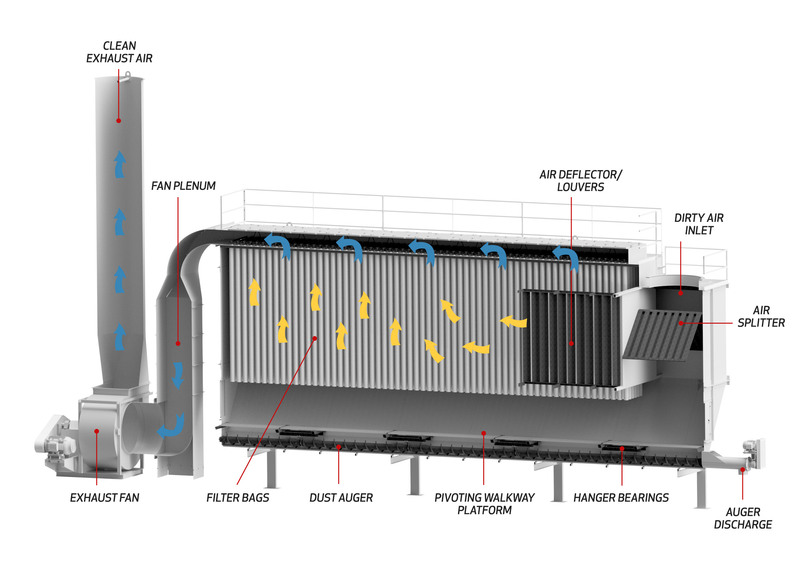 Because the pulse valves are built into the manifold as part of the clean air plenum, radiant heat prevents valve freeze-ups on cold operating days. In addition, this design allows for easy maintenance of the valve diaphragm from outside the baghouse. Our valves are equipped with Viton materials, and our blowpipes are connected to the pulse valve by means of a compression nut, which enables easy removal of the jet tube when necessary. 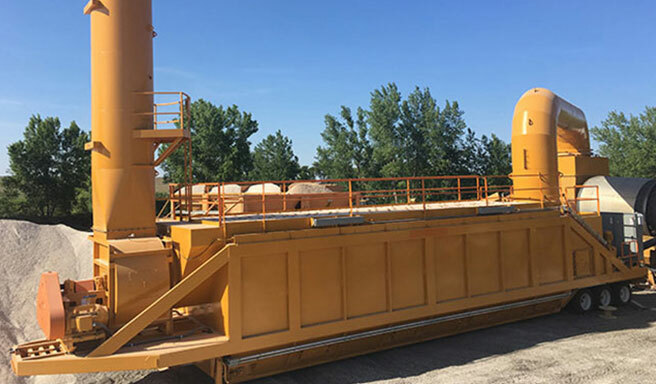 Dust is removed via screw conveyor in the bottom hopper. 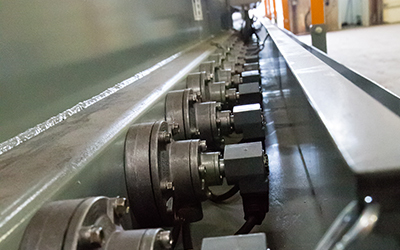 Our screw conveyor is built with an over-sized center pipe, minimizing the need for multiple hanger bearings. 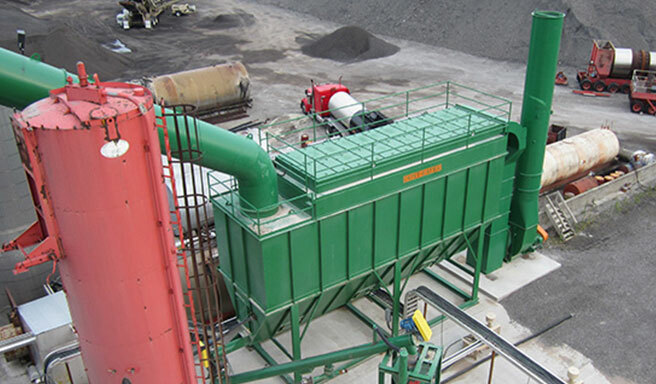 Dust is conveyed to a rotary air-lock where it can then be returned to the drum or other dust storage/metering system. 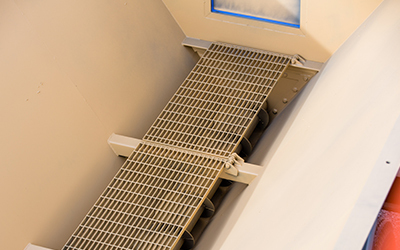 On portable units, our unique false floor design minimizes the reintroduction of fines as the drag slats move them toward the discharge auger. Greater bag spacing (2.5”) allows dust-laden air to penetrate in and around the entire bag matrix; therefore, inside bags work just as hard as outside ones. This generous spacing also permits a better clean by minimizing the amount of pulsed dust that clings to the adjacent bags. increased sidewall clearance (21”) facilitates even filtration of dirty air thoughout the house. Integral venturi cages with snap-lock bags allow for easy installation/removal, while providing an extremely positive seal between bag and tube sheet. 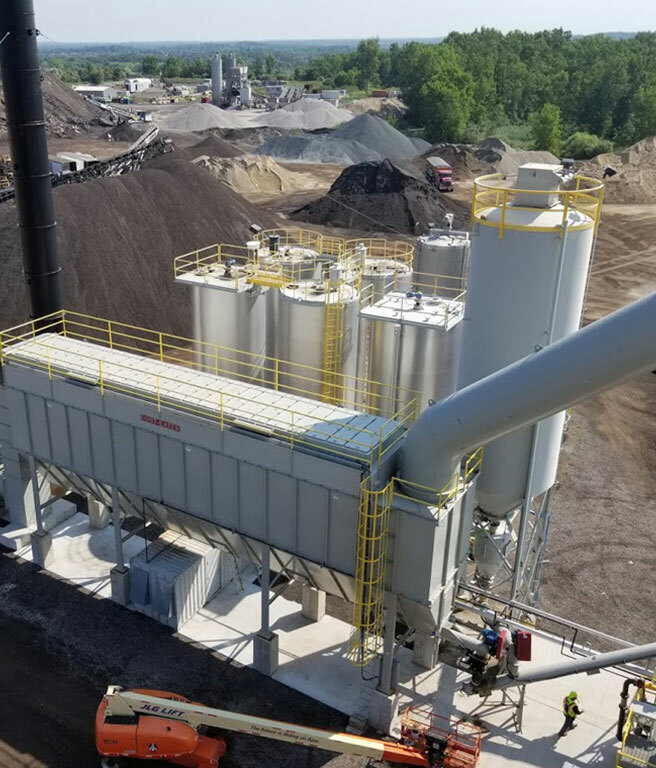 A smooth internal surface, sidewall louvers and the industry’s largest inlet knockout (7′ x 10′ x 12′ ) reduce air speed, eliminate turbulence and minimize wear, prolonging bag and component life. 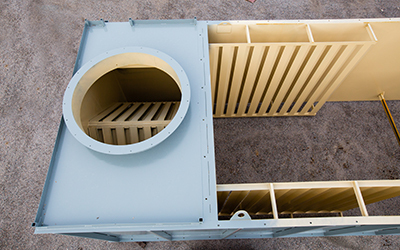 A splitter divides the inlet air equally to each side and aids in removing heavy particulate matter prior to it entering the bag chamber. 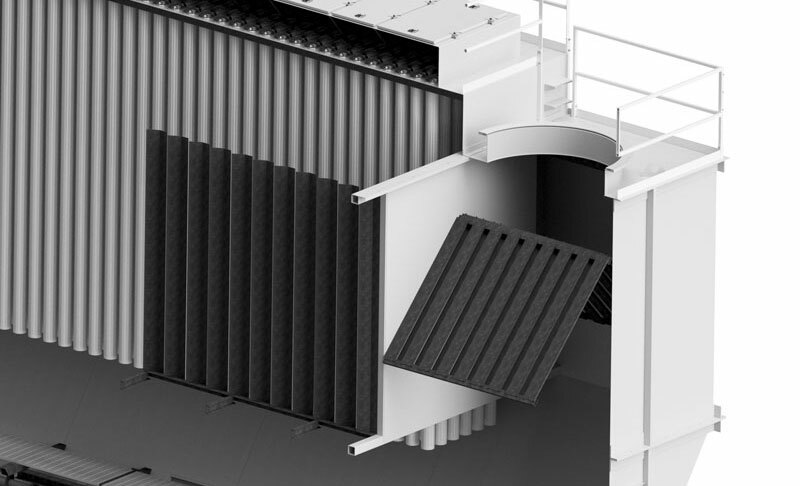 Sidewall louvers prevent bag abrasion and protect the first 10’ of bag chamber.